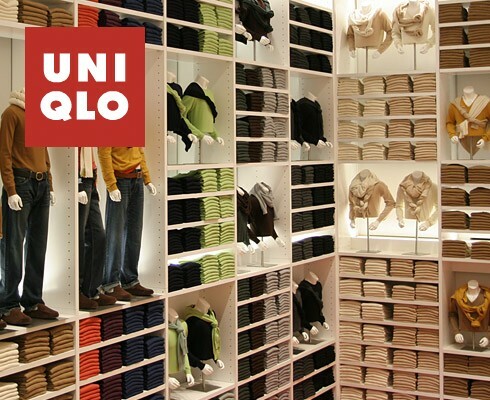 The Japanese textile company UNIQLO is quickly becoming New York’s hottest retailer. Be sure to pay a visit to the brand’s flagship store in Soho to stock up on your favorite basics. Every (basic) garment you could possibly need can be found here and they are all made from the most huggable fabrics such as cashmere and merino wool. The best part is that it’s SO cheap that you can’t leave the store without at least one item. You can get a basic V-neck cashmere sweater for as little as $89,50 or a longsleeve natural skin T-shirt for only $12,90. With all those neat piles of colorful and touchable items, you’ll feel like a kid in a candy store! The good thing is that you don’t necessarily have to make the trip to one of the 3 New York stores since UNIQLO is also coloring the streets of London, Paris, Moscow as well as many Asian countries.